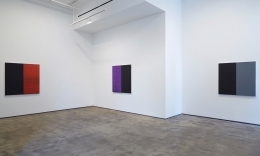 Sean Kelly announces Callum Innes: Liminal, an exhibition of the artist’s most recent work from both the Exposed Paintings and the Untitled Lamp Black Paintings series. Innes has achieved an intense luminosity with the paintings that comprise Liminal, so much so that the works almost appear to be lit from within. The new Exposed Paintings include some of Innes’s largest to date, measuring over seven and a half feet in height. The creation of the works is physically arduous as they have to be completed in a single day. 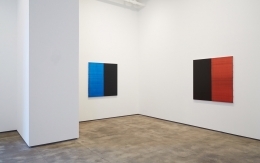 The Untitled Lamp Black Paintings include the eponymously named color, a matte black of particular richness and depth. 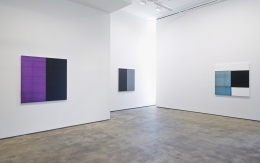 The muted surface of this matte black on one half of the paintings stands in stark contrast to the ethereal glow of the chromatic intensity on the other half. 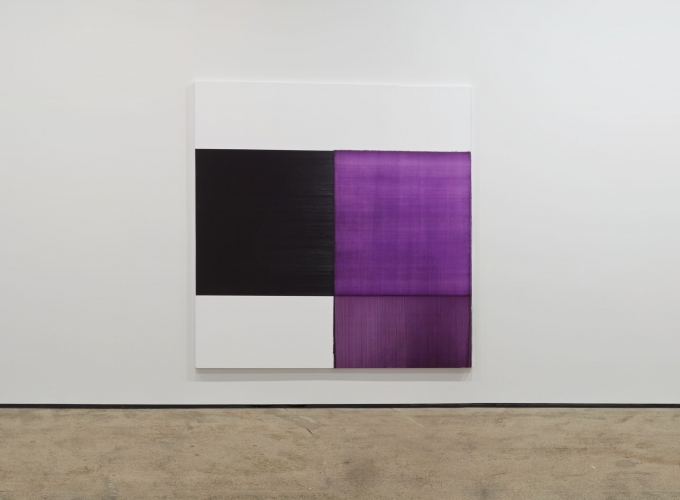 The resultant works of both series are spare, elegant canvases that combine a formal precision with an intense poetic beauty and conceptual complexity. 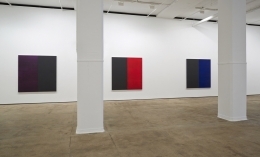 Callum Innes has emerged as one of the most significant abstract painters of his generation, achieving widespread recognition through major solo and group shows worldwide. He was awarded the Jerwood Prize for Painting in 2002, and the Nat West Prize in 1998. In 1995 Innes was shortlisted for the Turner Prize. 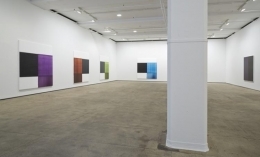 Recent critically acclaimed museum exhibitions include From Memory, which traveled throughout Europe and Australia in 2008-9, Callum Innes: Recent Work at the National Galleries of Scotland, Edinburgh in 2010 and Callum Innes at the Whitworth Art Gallery in Manchester, England in 2013. 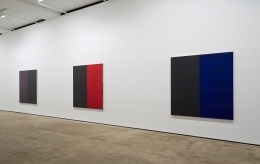 Callum Innes: Materials and Process, at the Neues Museum in Nürnberg, Germany and Guerlain Donation at the Centre George Pompidou in Paris, France are both currently on view. In 2012, Innes created a permanent commission for the Edinburgh Art Festival, entitled The Regent Bridge. Innes’s work is included in many major public collections worldwide, including: the Tate Gallery, London, England; the Solomon R. Guggenheim Museum, New York; the Centre George Pompidou, Paris, France; the Kunstmuseum, Bern, Switzerland; the National Galleries of Scotland, Edinburgh, Scotland; the Museum of Modern Art, Ft. Worth, Texas; and the Albright-Knox Art Gallery, Buffalo, New York. 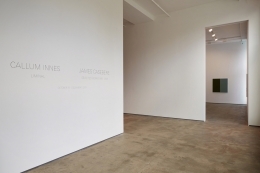 Concurrently, Sean Kelly will present James Casebere: Selected Works, 1995-2005. 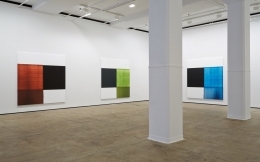 Cécile Panzieri at SEAN KELLY at 212.239.1181 or via email at cecile@skny.com. Katrina Weber Ashour at FITZ & CO at 212.627.1455 or via email at katrina@fitzandco.com.